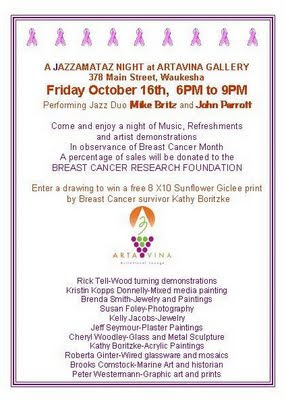 Artavina Gallery is hosting Jazzamataz Night to benefit the Breast Cancer Research Foundation. This disease hits close to home for so many of us. I have lost family members to the disease and have friends who have been effected by it. The event is being held on October 16Th from 6pm to 9pm. There will be live music, snacks and refreshments and a chance to go home with some great art. I'm looking forward to the demonstration given by one of the artist that is planned for the evening. It will be great to see some of you there. 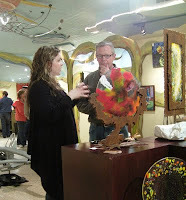 The Art Crawl was a great success! I had a wonderful time meeting everyone. It's so inspiring to hear all the artist talk about their art with such passion and excitement. It was nice to see some familiar faces. I can't wait for the next one, in December for those of you interested. There are so many things going on with all the other shops and galleries it really makes for a fun time. I took a break to grab a bite with my family at Sprizzo's Gallery Cafe. We listened to the band "Dirty Boogie" while we were there. They played in front of some large windows and attracted a crowd on the other side. The style of music was a great selection of top hits from the 70's to present. "The Free 4 Fall Crawl"
Today is the day! 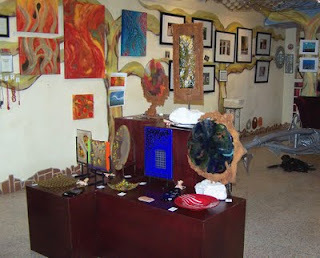 The Art Crawl starts at 4pm and goes until 10pm or later. 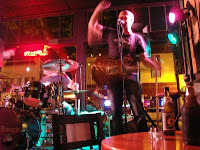 Fabulous art, live music and great food! 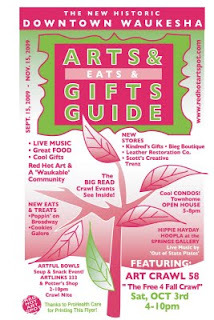 My name is not in the list of artist in the art crawl guide this time, but I was the only artist of all the galleries involved in the Waukesha art crawl to be featured in The Freeman Newspaper. 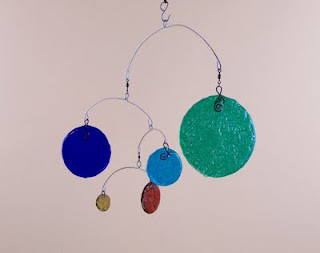 I was at the Gallery last night and installed the fixture that holds all of my mobiles and sun catchers. They look great hanging in the window. 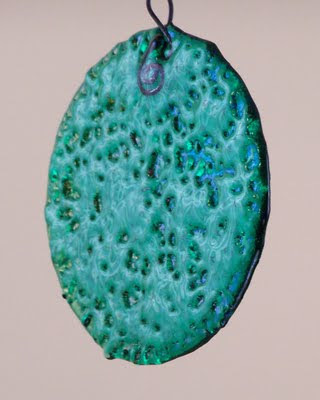 I really like the texture of the glass on these mobiles. I will post pic's of the Crawl. Hope to see some of you there!